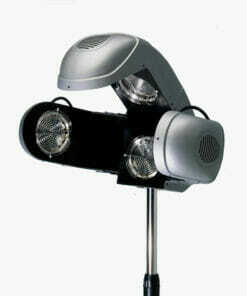 A 1150 watts salon dryer with operation which is completely digital and available in Black, White or Silver. 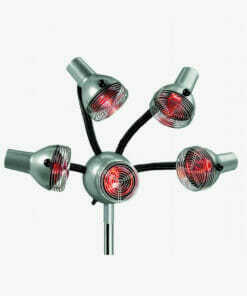 Crewe Orlando Brio Digital Mobile Hood Dryer is a 1150 watts salon dryer with operation which is completely digital. 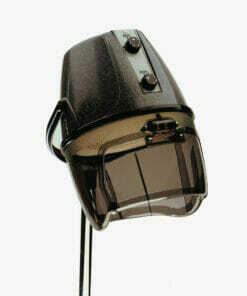 It has a large dryer helmet equipped with a ventilation blast. It is available in Black, White or Silver. Please choose your colour by selecting from the drop down box. Crewe Orlando was established in 1978. Since then the company has gone from strength to strength to become a well-respected manufacturer in the Hair & Beauty Industry. 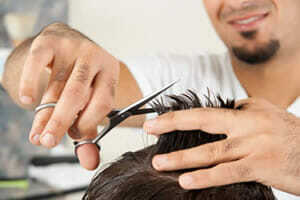 Dedicated to supplying the highest quality products to professional salons across the UK and Ireland. 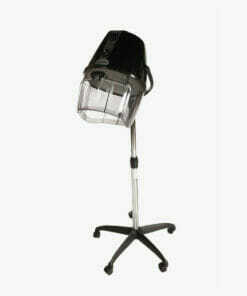 Crewe Orlando have put together a wide range of professional salon equipment and furniture. From Hood dryers and steamers. to styling chairs, reception furniture and beauty couches. And everything in between! All laminated products are designed, made and built in Britain. Ensuring high quality and close attention to detail throughout all stages of production. It is imperative that plumbing items in the salon are of the highest standard and Crewe Orlando’s Italian partners provide just that. The Orlando range has been created to provide the best furniture to suit all salon styles. Bespoke design your individual salon and turn your imagination into reality. 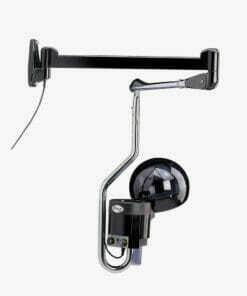 Mobile hood dryer with a 1160 Watt dryer and a two speed fan with a 60 minute timer and a safety cut off switch. 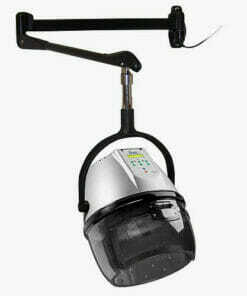 Powerful 1120 watts salon dryer with a 60 minute timer with safety cut out switch on wall arm. 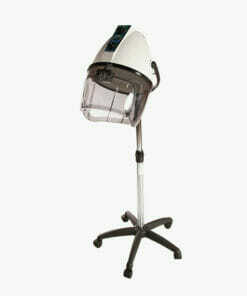 Mobile 510 Watt salon steamer which features a 30 minute timer and available white, black or silver. 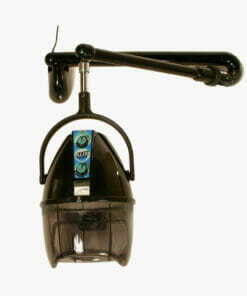 Popular mobile 1005 watt dryer with a 60 minute timer, which also has a safety cut out and large front visor. A 1150 watts salon dryer with operation which is completely digital and on wall arm saving valuable space. 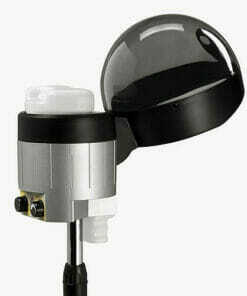 A 1160 Watt dryer which has a two speed fan, also a 60 minute timer and a safety cut off switch. 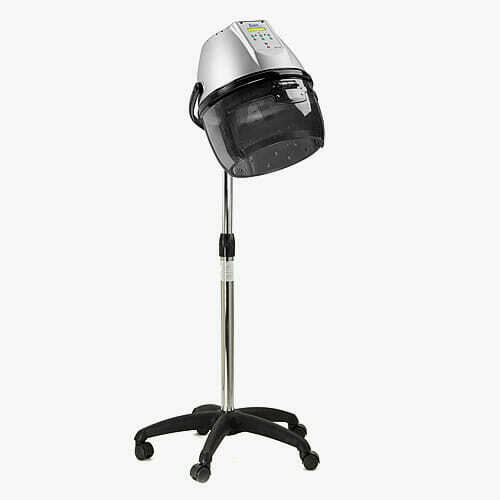 A 510 Watt salon steamer which features a 30 minute timer and a min/max intensity switch. 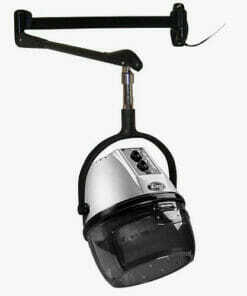 Hairdressing infrared lamp with 760 Watt Lamps and a 60 minute timer, available on a pole and castor base or wall arm. 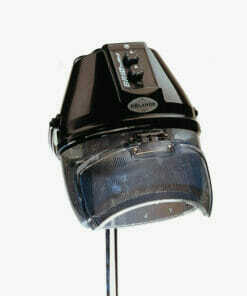 A 1120 watts salon dryer with a 60 minute timer with safety cut out switch. This 1400 Watt processor features a 60 minute timer, 2 speed settings and a LED temperature indicator. Glitter Hood Dryer with a 1005 watt dryer with a 60 minute timer and a safety cut out switch.